HÀ NỘI – Việt Nam exports touched US$79.29 billion in the first five months of this year, representing a rise of 17.4 per cent over the same period last year. According to latest updates of the General Statistics Office (GSO), foreign direct investment (FDI) firms contributed more than 72 per cent to the country’s export revenue in the period and witnessed a rise of 19 per cent. The FDI sector helped narrow the trade deficit run by the domestic sector, GSO said. While the domestic sector ran a trade deficit of $10.36 billion, the FDI sector posed a surplus of $7.65 billion. 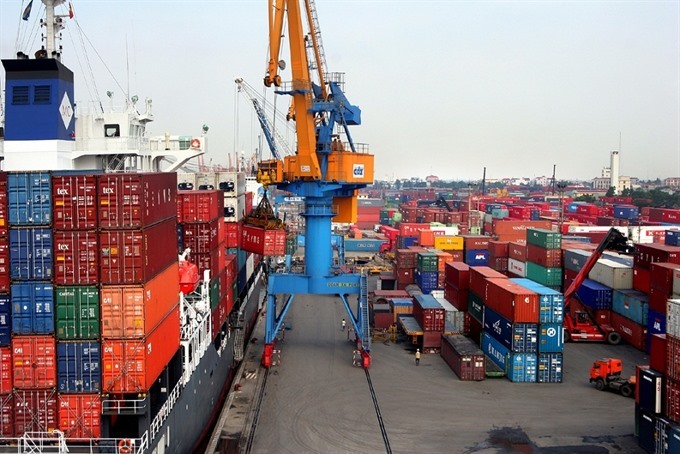 Overall, Việt Nam ran a trade deficit of more than $2.7 billion, unchanged from the January-April period. The United States remained the largest importer of Vietnamese goods with export revenue of $19 billion, up by 9.9 per cent. The European Union came the second with export value of $14.6 billion, up by 9.5 per cent. China was the third largest importer of Vietnamese products with a whopping rise of 40.3 per cent in the five-month period. Việt Nam was heavily reliant on imports from China. In the first five months of this year, Việt Nam imported goods worth $22 billion from China, up 15.6 per cent, and ran a trade deficit of $11.5 billion with the country. Việt Nam ran the largest trade deficit with South Korea, at $12.9 billion, in the first five months, a 61.3 per cent increase over the same period last year. According to GSO, major export products of Việt Nam in the period were mobile phones and parts with revenue of $16 billion (up 12 per cent), garments and textiles $9.4 per cent (up 9 per cent), electronics and components $9.4 billion (up 46.2 per cent) and footwear products $5.6 billion (up 10.5 per cent). Pepper and cassava, however, witnessed a decline in export value of 16 per cent and 12.8 per cent, respectively, due to a slump in prices. Việt Nam mainly imported machinery and equipment, electronics, computer and parts, steel, plastics and chemicals. Minister of Planning and Investment Nguyễn Chí Dũng said trade deficit was not very worrisome because the country mainly imported materials for production.